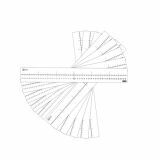 Dry erase double sided number lines. 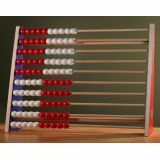 Set of 6 plastic strips each 8 x 60cm. 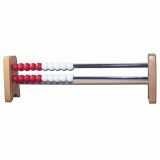 Each number line has to ones side -30 to +30. 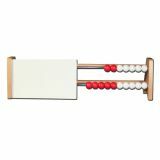 The opposite side is a plain number line without numbers. 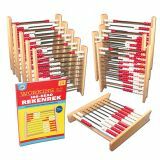 Includes 1 Teacher Demo Rekenrek (36-9052 - 53Wx10Dx14H cm) and 15 Student Rekenrek with white board (36-9006 - 25x8.5x6cm) Teacher Demonstrator (36-9052) consists of: Large counting frame features 20 wooden beveled beads in red and white on 2 rails. 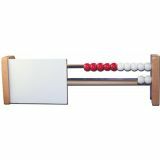 Includes dry-erase panel (also can be used as a screen to hide beads). 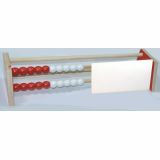 Rails are made of durable hardwood. 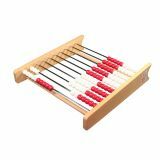 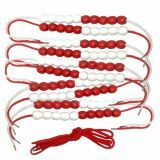 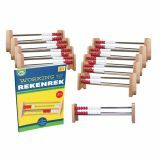 Student Rekenrek )36-9006) consists of: counting frame (2 rails), up to 20 with beveled wooden beads in red and white (colour change after 5 beads). 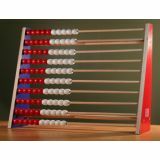 Includes dry-erase panel, rails made of durable metal.